Shiseido gift with purchase (gwp) with $43 spend! I’ve been itching to replenish some Shiseido skincare so I hopped over to the counter at Hudson’s Bay on Queen Street. I like how Shiseido has a safety seal on their skincare, and they provide a little scoop. I’ve talked a lot about this eye cream – it’s my HG nighttime eye cream! I’m now gearing up for the colder months and I can’t imaging going through a Canadian winter without this. *hugs jar* It’s pricey (C$68) but this jar will last me at least a couple of years. Now the fun part, the gwp! Source. Temptalia describes this shade as “bright, medium-dark ruby red with cool, blue undertones and a natural sheen”. But I’m excited to give the formula a try. My picks from the Rouge Rouge Lipsticks are: RD715 Rose Crush, RD716 Red Queen (check out this review post from Beauty Isles), and RD306 Liaison. Do you only shop for makeup during gwp time? I know people who only buy during gwp, which makes a lot of sense… and takes a lot of self control! Me too, I can’t hold out just for gwp. If anything, gwp usually causes me to buy things I don’t need! The eye cream packaging is so beautiful! Shiseido does packaging really well. It has a nice weight to it too – very fancy! Everything in the gwp looks great – like you said, Shiseido always includes tried and true products! The bag is super cute, too. I was tempted to buy something this time, but I neither need any full-sized Shiseido products, nor do I need more Shiseido samples, lol! Hope you love the Rouge Rouge formula…too bad it’s not in a colour you’d normally wear, but hopefully the formula is good enought that you’d go out and buy a full size of one of the shades you’re interested in. I’m one of those people that stock up only when there’s a gwp involved, haha! I’m super excited to have the eye cream back in my life, lol! I swore to myself I’d give it a rest but it’s been about about 3 months without and I MISS IT! 😛 I did ask the SA to tell me about other eye creams they had but none of them felt as nice as this one. The gwp does include an eye cream so I can test that out. 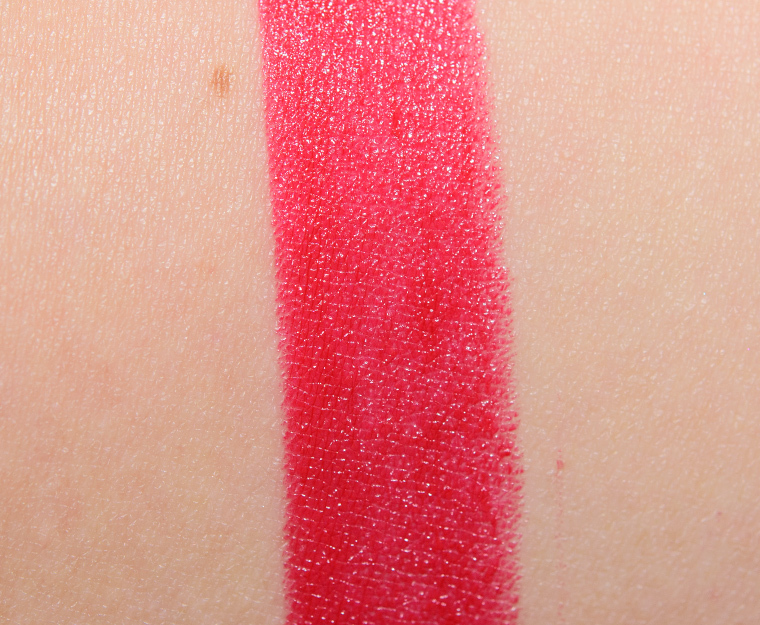 And I’m fairly certain by year’s end, I will get one of the Rouge Rouge lippies – I know that I just can’t resist! I’ve slowly started chipping away at my gwp / samples pile. It’s a never ending battle though. But, they do come in handy for trips! We never have 3 for 2 offers here. Just % off, or sometimes there buy 1 get one half off. I’m never tempted when the department stores send me newsletters with 15% off. It has to be at least save 1/3 or 3 for 2 for beauty stuff (I’ve got plenty of everything, so I can always wait for the next offer) and half price for everything else. I do too! I have actually more than $200 worth! 😆 I am sitting on goldmine! Shiseido’s gwp pouches tend to be really pretty. I have several that can be used as evening clutches! Do they do gwp where you are? Occasionally. I’m not sure about Shiseido but I know Clinique and Estée Lauder (not that I purchase those brands) do. Clinique gwp are mad! People pre-order them and they sell out. Yeah I haven’t seen many good ones lately, it’s usually the 500 pt sets that I get, or if there happens to be a product like a mascara that I’ve been wanting to try. I can’t remember the last time I redeemed any points though! I really love the famously designed eye cream which looks like a mini perfume container and the stunning looking ruby red lipstick. Awesome! Loving the pouch and the lipstick shade! Me too. I still haven’t tried the lipstick shade yet. It’s so bold!